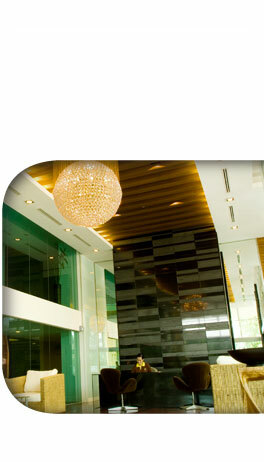 The first feelings experienced when entering Golden Pearl are peace and intense well-being. Our friendly staff would always welcome you in the refined yet cozy lobby where contemporary art blends harmoniously with the subtleties of Asian culture. All the suites and studios are ideally located around the atrium where the central fountain soothingly sprinkles water in a peaceful garden. The modern and convenient facilities include a restaurant offering Thai and international cuisines, a fitness centre from where you can enjoy the view while exercising, and a delightful breezy roof-top swimming pool, perfect for sunbathing and where children can have fun in the adjoining kids’ pool. For people combining work with pleasure, a modular function room with a capacity of twenty people will provide you with practical amenities and our business centre will take care of your secretarial and business needs. 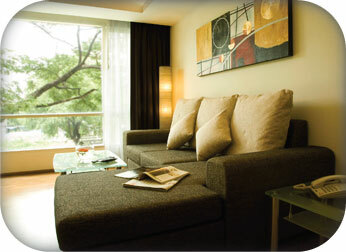 All our suites and studios have been stylishly decorated and offer elegance and comfort. Amenities include large plasma screen televisions, personal micro component systems, Wi-Fi Internet access, personal safes and fully equipped kitchenettes. Special attention has been paid to safety issues with smoke detectors in every unit, conveniently placed emergency exits, and 24-hour security including CCTV cameras at all entrances and exits. 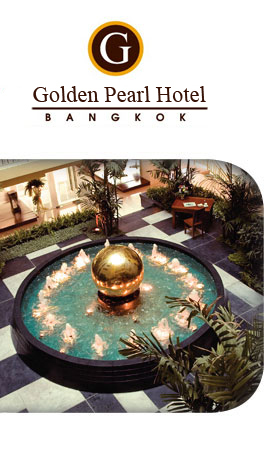 Whether on vacation or on a business trip, Golden Pearl will take care of your needs and make your stay in Bangkok a memorable experience to be enjoyed and treasured.